Have you heard? Coloring books for adults are all the rage right now. 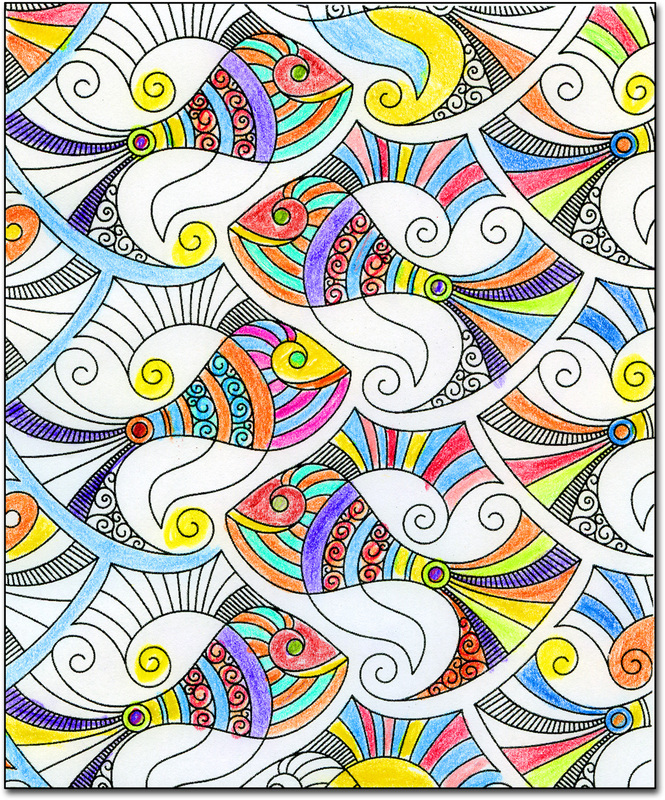 50 Shades of Happy: The New Joy of Coloring is the catchy title of one of the books in the coloring book gallery. Technically, it’s unfinished, but that was not really the point. Choosing the colors and applying them to paper put me in a different world. As I filled in the curly spaces, I felt both relaxed and focused. It put in touch with the girl and the box of 48 pointy Crayolas. 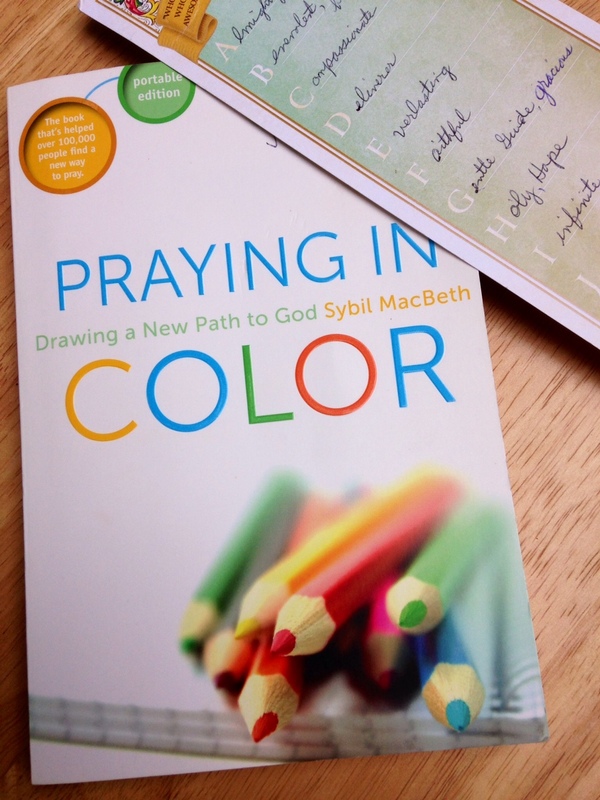 In June I met a new friend, Julie Sisco, who introduced me to Praying in Color, another way for both youth and adults to use color creatively. And, yes, the author, Sybil MacBeth, suggested using supplies you may already have at home: colored pens, pencils, markers, even crayons. Sybil MacBeth has created an active, visual, and meditative way to pray: Active because you draw your prayers, visual because you see your prayers, and meditative because you revisit your prayers throughout the day. MacBeth includes some examples of what a prayer map may look like and the instructions are simple. Write the name of someone you want to encircle in love and concern. 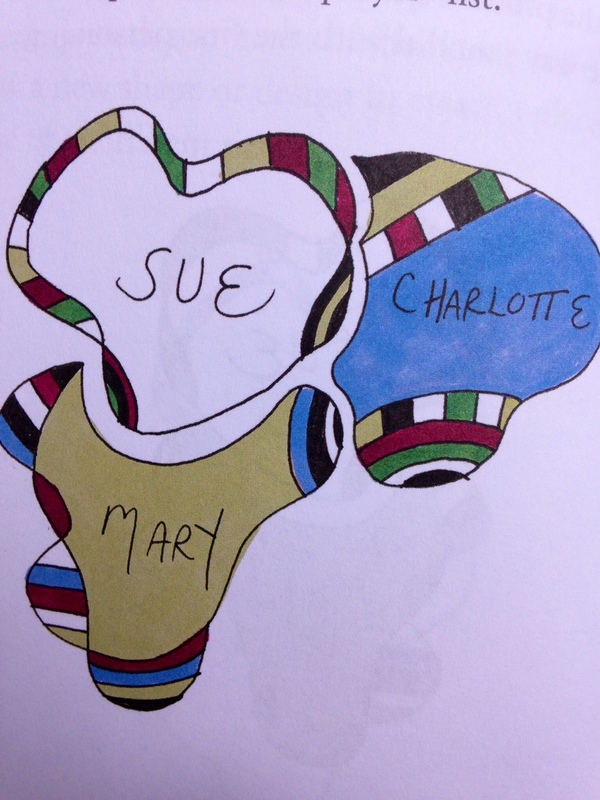 In a curvilinear model, draw colored designs around the name. Add more names and loops easily as you go along. Author MacBeth is quick to mention that “Praying in color does not presume a particular religious belief” though she is a Christian. What do you think of adult coloring books? The idea of praying in color? How do you use color creatively? Join the discussion here. I love the idea of praying in color! I can’t wait to buy the book and get started. I discovered coloring books for adults awhile back and free online pages but never followed through. I am such a kinesthetic person and while I love the written word I crave color, texture, the physical connection of hand to pencil. Writing on the computer is a mixed blessing for me and I still scribble notes on paper everywhere I go. Thanks so much for sharing here all these wonderful ideas, Marian. I can’t wait to get started! Dorothy, I’m glad this struck a chord with you. If you saw my desk you’d see a computer front and center, but assembled all around me colored sticky note pads, tablets of various sizes, and photos. Each of us has a unique combination of learning styles, and this book acknowledges this fact. I look forward to seeing how you adapt all of this, Dorothy. I have long believed that colouring is good for the soul. I used colouring and mind mapping in my Job Search Strategy classes when I was an Employment Councillor. The participants loved it. When we go to a restaurant with a child, I enjoy colouring with them on the placemat they are given. I would like one for myself but it would embarrass my hubby if I asked for one. Praying in Colour makes perfect sense. I also enjoyed Marylin´s post. This book sounds like a “Bingo” for you, and it caters to all ages. You must have gotten good comments/results in your classes using color. I have read that color stimulates the mind as nothing else. I have discovered a whole branch of therapy involving the use of color: http://drvidyahattangadi.com/what-is-chromotherapy/#.VbN9VkWkfV0 Marylin is an eloquent writer; her poster always so instructive. Good morning, Marian! It’s a bright, sunny morning here–filled with color. I’m aware of the coloring books for adults trend, although I don’t think I had seen the Parade magazine piece. We almost got coloring books for guests at our daughter’s recent wedding. (She did have Legos though at each table that were part of the centerpieces she made, and then guests could build with them.) I guess my most recent creative use of color was my rainbow challah. I also like to have a variety of colors in my meals. 🙂 I can see where the coloring would be relaxing and perhaps meditative, too. About the time you were experimenting with rainbow challah, Jenna and I had made a rainbow cake. I had forgotten about the legos on the reception tables, so you had visual and tactile at the wedding too. I’m glad this post resonated with you. My crystal ball says there will be more colorful posts from you, Merril. Thanks! Hi Marian, hope you had a lovely birthday yesterday! My birthday was lovely, but today I feel stuffed from all the big meals – and the cake, double chocolate with cherry filling and chocolate icing. To settle my stomach, breakfast is tea and crackers today! Thanks for adding to the examples of books that pair coloring with meditation. A mortgage on the house – why, Susan! You have a colorful life too, Anna. I poked around in your website and notice you pair fashion and photography – all with a sense of color of course! Do visit again. This colouring trend is everywhere these days! I don’t consider myself to be at all artistic. That said, like you, my desk is home to multi-coloured sticky note pads and all manner of coloured pens and markers. (Perhaps that’s more reflective of a stationery store obsession!). I find the colouring trend interesting, perhaps I’ll download a page and give it a go. 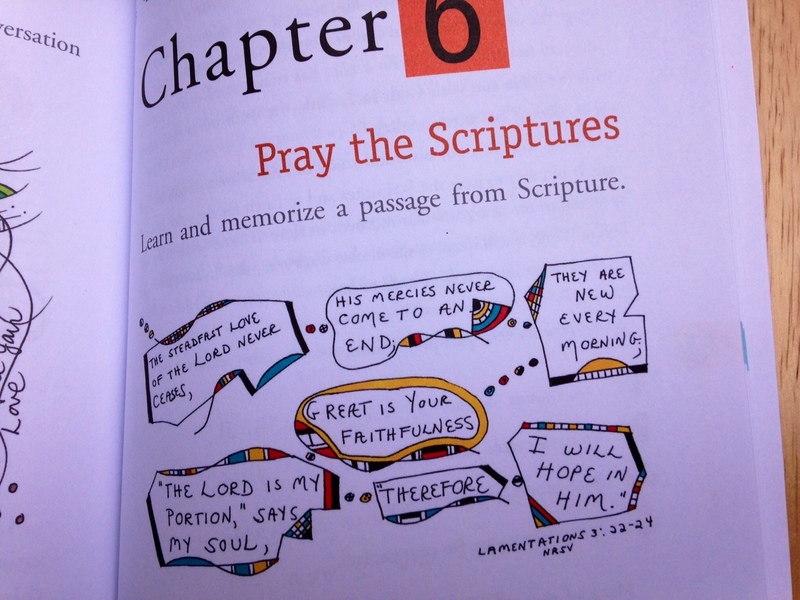 The praying in colour book reminds me of the new journaling bibles I’ve started seeing. Some of us are word people who write our prayers; some, it turns our, are visual and artistic people who illustrate our prayers and the truth God is revealing to them. Isn’t it wonderful that there is a way for all of us that fits best! Oh, Linda, but you ARE artistic – with food, with still lifes you arrange, photograph and display on your website. In the sense you are describing, though, like me, you appreciate art and find it energizing. Anyway, I think that’s how I relate to art. Of, course, writing is an art, a craft – so many words to describe it, all a jumble in my mind right now. I’m glad to see your comments here from a Canadian perspective, Linda. Thanks! Amazon is selling so many adult coloring books now. They have really become quite popular. Great for relieving stress. With all of the idiocy and violence in the world, it is reassuring to see a wholesome idea take root. Yes, I can’t think of a better way to relieve stress than creating something beautiful and meaningful. I believe the coloring craze is a way for those tired and depressed by the world stage to leave all the crap behind and be in the moment. It’s a wonderful exercise in being who you are, right now, without worrying about yesterday and tomorrow. I also like the idea of the book, Praying in Color. I’d say that one becomes ones visual journal and is a wonderful place to begin visualizing where one wants to be on a daily basis. Such fun and so simple!! Fun and simple – that’s the key, I think you are saying, Joan. There is so much stimuli bombarding us every day, it’s refreshing to concentrate on just one good thing and let the mind drift for awhile . . . I loved colouring books as a child, so I’m sure I’d love them just as much now! Fatima, if I remember correctly, you have a motor home for travel. 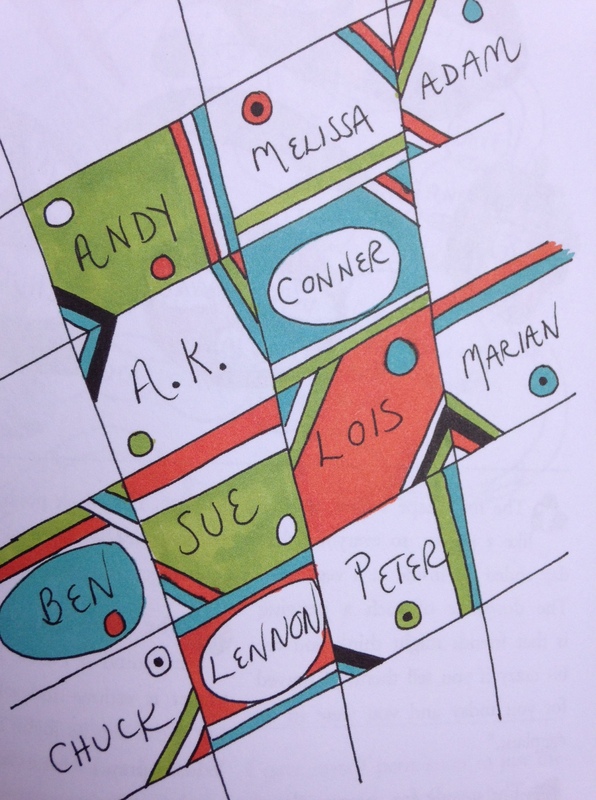 I can imagine you finding time to color every now and then – even making up your own designs in the mix. Indeed we have and we’re travelling now. In Italy at the moment. I tend to read and crochet. Marian … I hadn’t heard about the Praying in Color books, but they sound like a wonderful way to focus on the message and relax at the same time. I think your mom would have a tendency to color outside the lines a little. Everybody knows that flamingos are not just neon pink; to the imaginative eye they have shades of melon, lavender, and periwinkle and who knows what else. Marian and Judy, I did order ART FOR MINDFULNESS – LANDSCAPES. It’s due to arrive in the next few days, and I can hardly wait. I read a sample online and the included quotes really tipped the scales for me, but both of our Barnes and Nobel stores were sold out. I love ‘Colouring In’ as my husband puts it . He just don’t get it somehow. Nicole , from the blog , Cauldrons and Cupcakes ( have you heard of this blog Marian ? ) first aquainted me with colouring books for adults . I have a weekly magazine called ‘Art Therapy ‘ it combines pictures to colour in and notes on mindfulness meditation …it’s so good . I am often found with my head buried beneath the pages . Plus you get free crayons and felt tips …built up quite a collection . Yours it quite beautiful by the way . Praying in colour books is new and I ‘m sure will give a positive message . Cherry, you piqued my interest in the “Art Therapy” magazine you describe. Free crayons and felt tips – wow! By the way, I’m glad your husband merely mumbles and lets you go on your merry way! Thank you, Cherry! It was a merry one too. Marian — Long a proponent of using color for medicinal purposes (I teach a class called “The Color of Wellness), I never thought of PRAYING in color. Wow! How COOL is that?! I love the photographic examples you shared. I keep a little moleskin book on my nightstand. It’s filled with handwritten names of people I pray for. Now…. I’m thinking of redoing it. This time, in COLOR! THANK YOU for sharing the brilliance! “Why didn’t I think of that?” was one reaction I had to the idea of praying in color. It seems such a natural expression of meditation. Let us know how your prayer book evolves – in living C O L O R! Oh, I don’t need an adult coloring book (although I have a paisley one that’s out of sight). Most recently, I lost myself on a page in a My Little Pony coloring book. I’m not a Brony – it was my niece’s – but I did enjoy the process. Thank you, Coach Daddy. Plaudits for your paisley coloring book. How about a plaid one next? Just kidding! And thanks for the promoting this post on your blog, Eli. Glad to promote it – I want others to see this too! I’d could definitely get into some plaid next. Marian, you are amazing. Praying in Color is such a glorious addition to the many coloring books you and I have discovered. I’m going to have to get it; this goes to a deep, real and prayerful level. Thank you for this post! As we were hiking in the NC mountains, I met a new friend on the trail. We immediately clicked, and our conversation about the beautiful colors of nature evolved into her mention of this book which she lent to me for a few days. It strikes me as something you could share with your mother since it’s so visual. I’m glad you enjoyed it, Marylin. I do love colour! and colouring is fun! It’s obvious in everything that you do – what a blessing you are to your readers! I expect to have a wonderful excuse to get into coloring again with my grandsons–only you’re telling me I don’t need to wait! Actually, at a church retreat we could choose to color mandalas–I felt foolish at first, like I was just wasting time, but eventually I just went with it. And then couldn’t decide whether to keep the creation on the refrigerator or not. 🙂 Did you run across those ancient patterns in what you were researching? Marylin Warner’s website that I reference in the post pictures some mandalas and I think some links to other ancient art as well. I guess we are all on a coloring kick now! Truthfully, reading comes before coloring in my book too! Very cool. I’ll have to investigate both a little further. I coloured well into my teens. 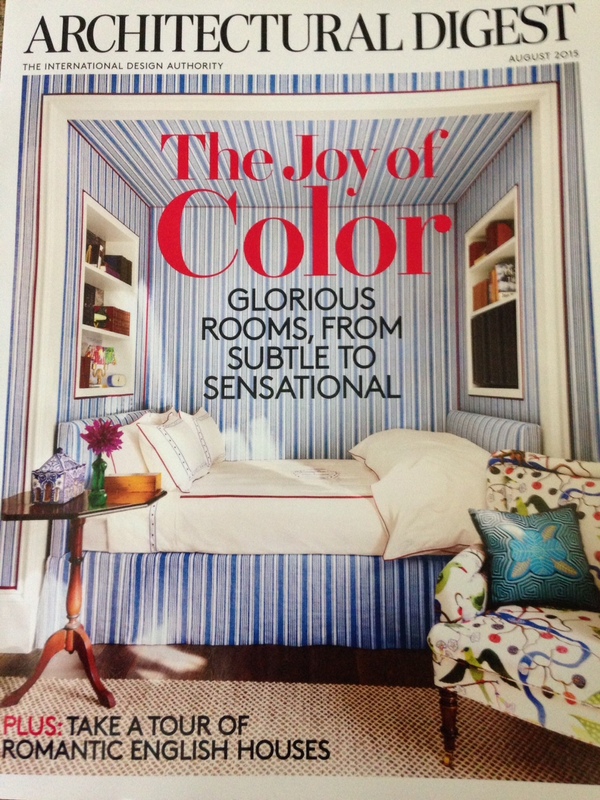 The words and photos in your blog posts are brimming with color. You are coloring with a larger palette, believe me! You are such an artistic soul – it would be another outlet for you. Thanks for stopping by, Marie. That’s the goal: warm, fuzzy feelings!